9781119027355 | Blackwell Pub, May 23, 2016, cover price $94.95 | About this edition: A brief survey of U. 9781119027348 | Reprint edition (Blackwell Pub, May 23, 2016), cover price $44.95 | About this edition: A brief survey of U. Popular Culture in American History collects the most widely cited and important writings on three hundred years of American popular culture. Each of the ten essays serves as a case study of a particular moment, issue, or form of popular culture, from seventeenth-century chapbooks to hip hop. Pedagogical features include further reading lists, contextualizing editorial introductions, discussion questions and chronologies of key events. 9780631219576 | Blackwell Pub, October 26, 2000, cover price $126.95 | About this edition: Popular Culture in American History collects the most widely cited and important writings on three hundred years of American popular culture. 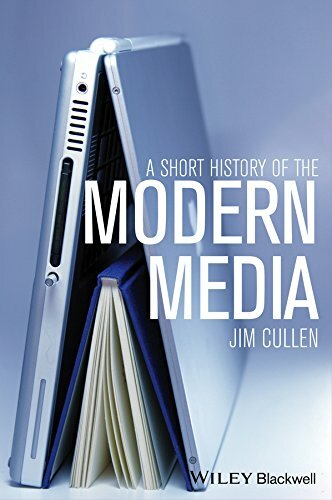 9780631219583 | Blackwell Pub, October 26, 2000, cover price $56.95 | About this edition: Popular Culture in American History collects the most widely cited and important writings on three hundred years of American popular culture. 9780199927647 | Oxford Univ Pr on Demand, January 9, 2013, cover price $115.00 | About this edition: How do perceptions of the past--not just of particular events, but of the trajectory of history as a whole--shape our experience of the world? 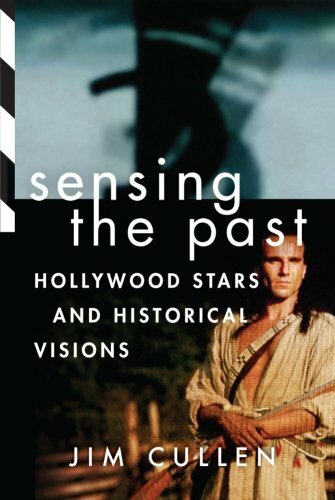 9780199927661 | Oxford Univ Pr, January 9, 2013, cover price $21.95 | About this edition: How do perceptions of the past--not just of particular events, but of the trajectory of history as a whole--shape our experience of the world? 9781405182782 | Blackwell Pub, February 9, 2009, cover price $76.95 | About this edition: Part research manual, part study guide, and part introduction to the study of history, Essaying the Past guides the reader through the nuts and bolts of producing good historical prose, offering key strategies and useful tips. 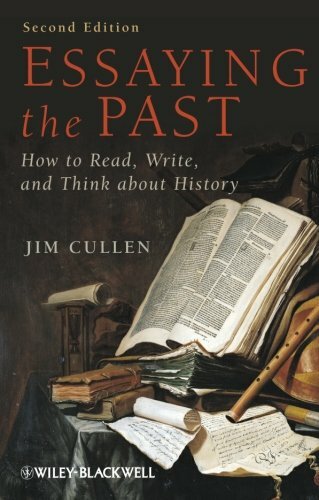 9781444351408 | 2 edition (Blackwell Pub, July 10, 2012), cover price $23.95 | About this edition: The second edition of Essaying the Past features a variety of updates and enhancements to further its standing as an indispensible resource to all aspects of researching and writing historical essays. 9781405182799 | Blackwell Pub, February 17, 2009, cover price $24.95 | About this edition: Part research manual, part study guide, and part introduction to the study of history, Essaying the Past guides the reader through the nuts and bolts of producing good historical prose, offering key strategies and useful tips. 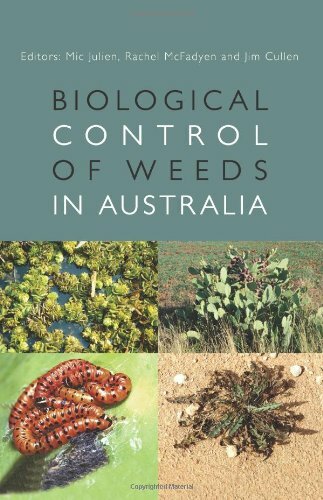 9780643099937 | Csiro, June 30, 2012, cover price $200.00 | About this edition: Biological control of weeds has been practiced for over 100 years and Australia has been a leader in this weed management technique. 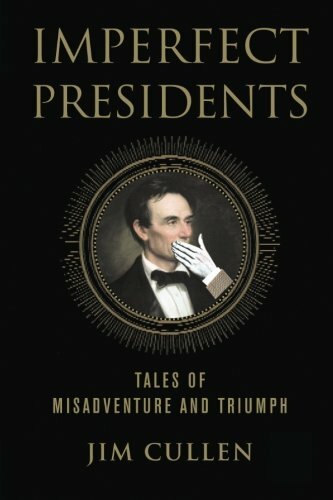 9781403975133 | St Martins Pr, March 20, 2007, cover price $24.95 | About this edition: A lighthearted portrait of the American presidency reveals the ways in which political faux pas or snafus committed by or aimed at presidents can have history-altering consequences. 9780230605787 | Griffin, June 24, 2008, cover price $18.99 | About this edition: In this clever portrait of the American presidency, Jim Cullen takes ten presidents down from their pedestals by examining key missteps in their careers--and how they transcended them. 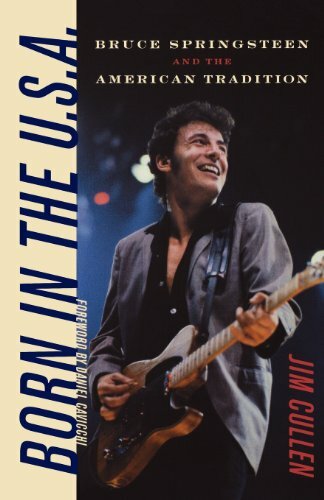 9780788193446, titled "Born in the U.S.A: Bruce Springsteen and the American Tradition" | Diane Pub Co, April 1, 1997, cover price $23.00 | About this edition: Springsteen's status as a pop icon is indisputable, but he is a potent cultural icon as well. 9780819567611 | Wesleyan Univ Pr, June 14, 2005, cover price $24.95 | About this edition: Moving beyond the biographical and journalistic approaches of most writing on Bruce Springsteen, Born in the U. 9781405106900 | Blackwell Pub, February 4, 2005, cover price $152.95 | About this edition: There is an extraordinary range of material in this anthology, from Lincolnâs Gettysburg address to a contemporary account of a visit from the Ku Klux Klan. 9781405106917 | Blackwell Pub, February 4, 2005, cover price $57.95 | About this edition: There is an extraordinary range of material in this anthology, from Lincolnâs Gettysburg address to a contemporary account of a visit from the Ku Klux Klan. 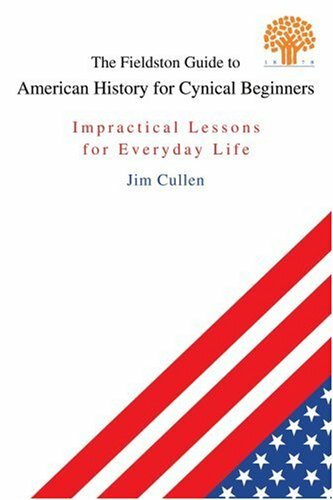 9780595343423 | Iuniverse Inc, March 31, 2005, cover price $16.95 | About this edition: Are You a Cynical Beginner? 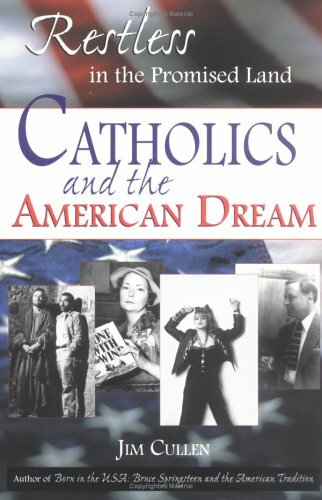 9780195158212 | Oxford Univ Pr, February 6, 2003, cover price $25.00 | About this edition: Traces 'the American Dreams' that have transcended history, inluding religious freedom, political freedom. 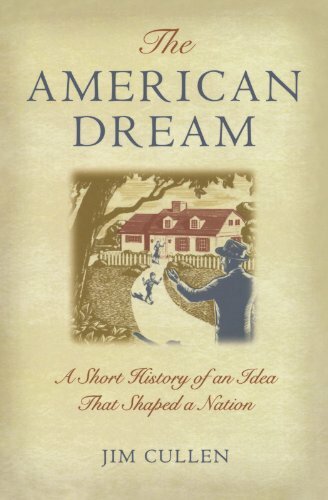 9780195173253 | Oxford Univ Pr, June 14, 2004, cover price $19.99 | About this edition: "The American Dream" is one of the most familiar and resonant phrases in our national lexicon, so familiar that we seldom pause to ask its origin, its history, or what it actually means. 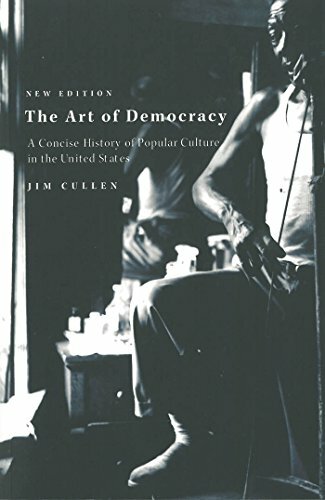 Art of Democracy: A Concise History of Popular Culture in the U.s.
9780756791063 | Updated edition (Diane Pub Co, October 30, 2002), cover price $20.00 | About this edition: Popular culture (PC) has been a powerful force in the U. 9781583670651 | 2 edition (Monthly Review Pr, October 1, 2002), cover price $75.00 | About this edition: "Cullen's strength comes from his understanding of how the different strands of American society intertwine in imaginative, unpredictable ways . 9780853459194 | Monthly Review Pr, January 1, 1996, cover price $65.00 | About this edition: "Cullen's strength comes from his understanding of how the different strands of American society intertwine in imaginative, unpredictable ways . 9781583670644 | 2 edition (Monthly Review Pr, October 1, 2002), cover price $21.00 | About this edition: "Cullen's strength comes from his understanding of how the different strands of American society intertwine in imaginative, unpredictable ways . 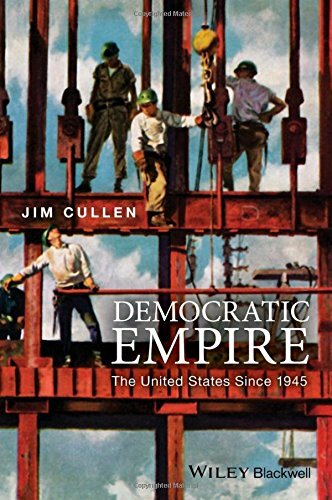 9780853459200 | Monthly Review Pr, June 1, 1995, cover price $25.00 | About this edition: "Cullen's strength comes from his understanding of how the different strands of American society intertwine in imaginative, unpredictable ways . 9781580510936 | Sheed & Ward, June 1, 2001, cover price $23.00 | About this edition: From early settlers to urbanites, indigenous peoples to immigrants, citizens to consumers, and politicians to popular culture icons, the American Dream means many things to many people. 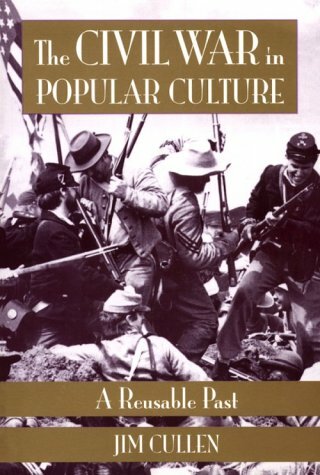 9781560986874 | Smithsonian Inst Pr, September 1, 1996, cover price $16.95 | About this edition: In The Civil War in Popular Culture, Jim Cullen explores popular interpretations of the war during the twentieth century, in the process revealing much about the cultural legacy of that conflict.